No.4 Backing Cloth for Testing Screen - Gilson Co.
TSA-135 No.4 Backing Cloth for Testing Screen Trays is installed to support fine mesh of Testing Screen Trays with #230, 270, 325 and 400 (63, 53, 45 and 38µm) wire cloth, and is also available for use with other fine mesh Screen Trays. The reinforcing backing cloth prevents damage and stretching of fine mesh cloth and extends service life. The sturdy ASTM E11 No. 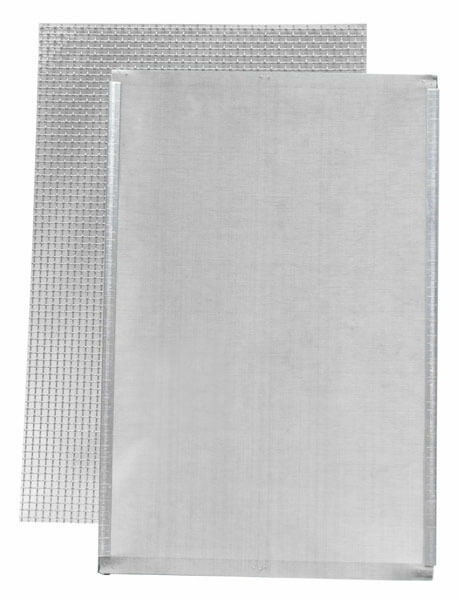 4 (4.75mm) stainless steel wire cloth features flat-rolled surfaces to prevent abrasion of main screen cloth.